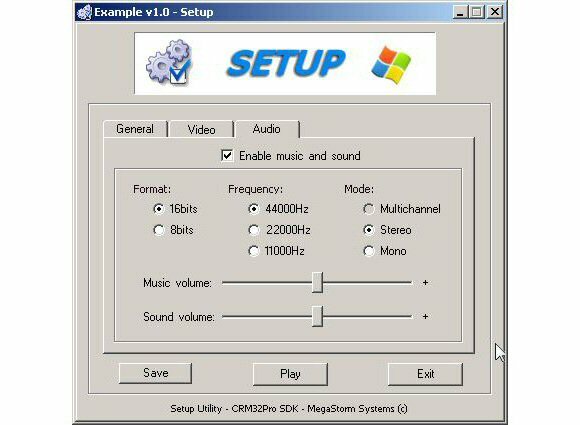 Setup and configuration tool for allowing the user to choose video (resolution, window mode, …) and audio (frequency, channel number, volume, …) settings that can be saved to a XML (stand-alone file or embedded on a DPF) which can be easy loaded from your application using CRM32Pro. Your application can also be executed from this tool. All graphics resources are stored in a DPF (setup.dpf), where usually are the two main XML files: layout.xml and setup.xml. The latter one is where the video and audio settings are stored. 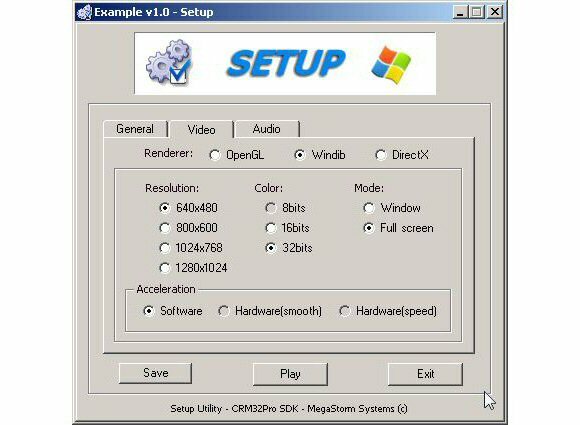 Fully customizable: GUI graphics, default values and enabled controls using layout.xml file. Play button to directly execute your application. Up to 7 custom buttons for opening ASCII or HTML files or an URL. 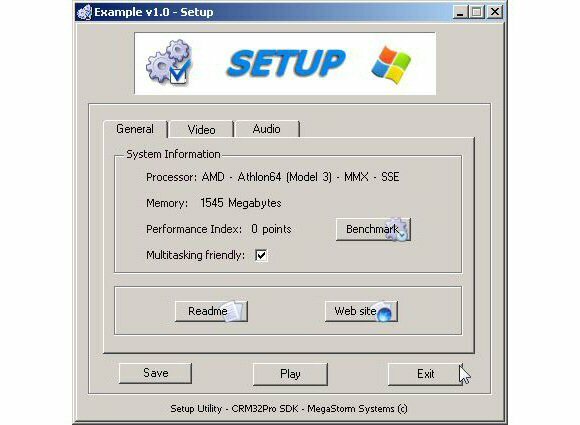 Detects CPU model, supported instruction set and available memory. Built-in benchmark is included to measure the CPU, memory and video performance giving a performance index (20% integer, 20% float, 25% memory and 35% blitting). This index can be used to require a minimum value for final users assuring a smooth execution of your application.